A recent research by Pew revealed the surprising findings that users who regularly relied on global social networking sites like Facebook Inc (NASDAQ:FB) and Twitter Inc (NYSE:TWTR) refrained from expressing their candid opinion or even get embroiled in a debate. This is totally contrary to the popular opinion that these websites, particularly Facebook Inc (NASDAQ:FB), served as some of the most viable platforms for people to engage in heated debate of ideas exchange opinions on controversial topics. To prove its point Pew researchers quoted the response of users when revelation of Snowden, an NSA contractor, pertaining to covert spying operations had been made public in 2013. Rather than jumping on to the bandwagon as expected by the creators of these platforms, people held back from posting their comments. Instead they decided to limit their discussions to a more personal level and away from the public archives of Facebook Inc (NASDAQ:FB) and Twitter Inc (NYSE:TWTR). With its stock currently poised at $73.86, Facebook Inc (NASDAQ:FB) has been on an acquisition spree and is undergoing expansion at all levels on a global scale. 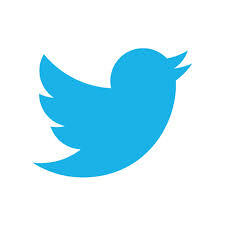 Twitter Inc (NYSE:TWTR) is placed at $49.43 and is expecting a turnaround courtesy of the new acquisition.